Manufacturer of a wide range of products which include mini bench unit, probe range contact normal beam transducers, circograph ds instruments, defectometer portable crack detection tester, circograph sensor system and sigmatest measurement of the electrical conductivity. 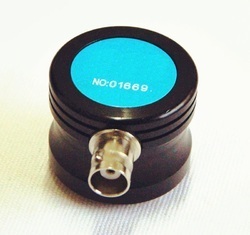 Contact shot for Circular magnetization & Coil shot for longitudinal magnetization Of parts. Fabricated Frame (M.S.) with splash guard & wood grill assembly. Stainless Steel circulation tank of SS-304 Grade Material with turbulence agitation system, Mono-Block pump and Hand Nozzle. Rugged construction for reliable magnetic inspection. 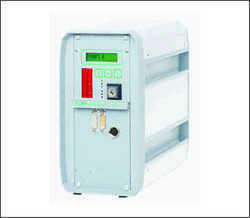 In-built power Source with infinitely variable self regulating current control. 5 turn 300-rnm. dia base mounted coil. Pneumatically operated head stock with foot switch 100 mm stroke length) & rail mounted, hand-operated tail stock, both with steady rest for heavy job handling. Analog Ammeters with calibration facility. Control Panel with push bar assembly. In-built AC decay Demagnetization facility. Black color Inspection hood of resin for fluorescent wet particle inspection of jobs under ultraviolet lights. AC / FWDC changeover by Selector Switch. Magnetization Time controlled by Logic Control PCB. Suitable For Testing thin Plates, Tube Walls. 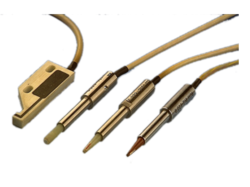 We are leading Manufacturer of Probe Range Contact Normal Beam Transducers and our product is made up of good quality. 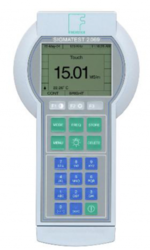 We are leading Manufacturer of Circograph DS Instruments and our product is made up of good quality. 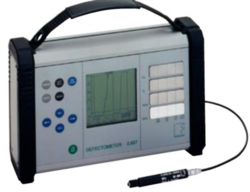 The DEFECTOMETER 2.837 is a modern eddy current instrument for non-destructive testing of conductive materials for surface flaws. The material surface may be painted, lacquered or untreated. Material with electrical conductivity between 0.5 and 60 MS/m (1 to 103% IACS) can be tested, including ferromagnetic (Fe) materials. Flaw depth resolution down to approximately 20 μm (less than 0.001 inch under best conditions). 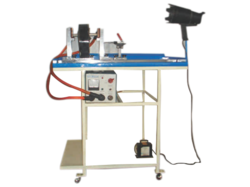 The instrument can also be used for simple hardness testing and material sorting. Modern microprocessor technology and a RS232 serial interface allow flaw signal documentation on a printer and signal storage on a computer. 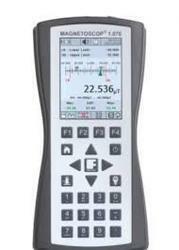 Versatility and simplicity make the DEFECTOMETER 2.837 an ideal instrument for maintenance inspection and metal-producing and metal-processing industries. Testing for surface cracks on wings around rivets, on turbine blades, wheels, etc. 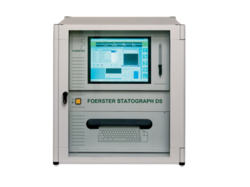 FOERSTER offers multi-channel systems in various expansion levels which may also integrate a DEFECTOMAT channel. profile section material, e.g. when testing rails and shot-blasted rectangular billets. Modern test systems allow uncompromising integration in the production process, including extensive documentation. So-called testing sections of various designs guaranteeing optimum transport of the test material through the sensor system are available for establishing separate testing lines. 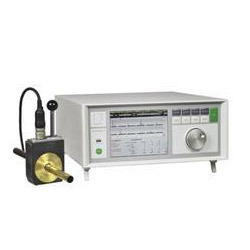 When combining various FOERSTER test instruments in one testing line in particular, but also when integrating test instruments of other manufacturers, the so-called multi-test blocks are the ideal solution. The aim is to cooperate with our customers on a partnership basis by developing intelligent, series products and individual system solutions. from any number of computer workstations simultaneously even if the various users require different information, e.g. current test status, test result of the last tested job or a batch from last month for reasons relating to research. Low-cost eddy-current module for non-destructive testing using the magneto-inductive method. Genuine magneto-inductive testing by evaluation of harmonics. Test parameters variable over wide ranges. Test pieces sorted in two groups: o.k. / n.o.k. One-dimensional display of measured value by LED bar graph. Key-operated switch for locking operating functions. 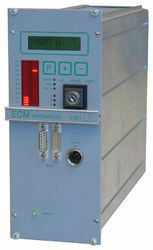 Eddy current testing system subject to EN 12084 with digital systems technology. For automatic, high resolution, multi-channel online flaw testing components of automotive and machine industry. 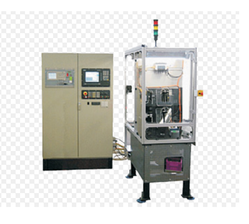 Universal testing system, adaptable for individual applications and requirements. Real-time visualization of the test process with original signal display. Comprehensive test documentation for each component and each flaw. Continuous monitoring of operating safety. Clearance compensation with automated adjustment. Test pieces sorted into two groups: ok. / not ok.
Test performance Approx. 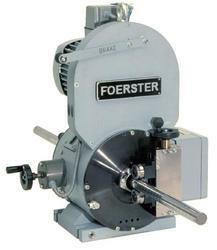 600 -1,800 parts per hour. 100% crack detection on ball joints / push rods. Simultaneous testing of several zones with one or more eddy current probes. Modular system concept for optimum adaptation to the respective requirements profile. Automatic sorting in two groups “OK” and “NOK”. Optional graphical results display on the system monitor. From the simple module with plain Yes/No results through to the multi-channel system with statistical evaluation programs. Completely automated 100% crack detection testing in the production line. Simultaneous testing of defined zones of the braking surface and bolting surface, in each case on the outside and inside of the brake disc. Testing performance approx. 240 parts per hour. Testing station can be re-equipped for different brake disc types. Optional measurement of relevant geometric data. Documentation of the test results. 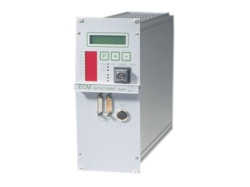 Eddy current testing system with digital systems technology for automatic, high-resolution, multi-channel online flaw testing of wires, bars and tubes made from ferromagnetic, authentic steel and non-ferrous metal with encircling or segmented through-put coils. WINDOWS-based operator guidance with application assistants. Comprehensive test documentation for each component and each flaw .